The Sarah Winston Garage Sale Mystery Series of one of my favorites cozy series' and I devoured The Gun Also Rises. When Sarah is hired to manage an enormous book sale by Belle Winthrop Granville, one of Ellington, Massachusetts' elite citizens, she's shocked to find rare Hemingway manuscripts among the books and dust. 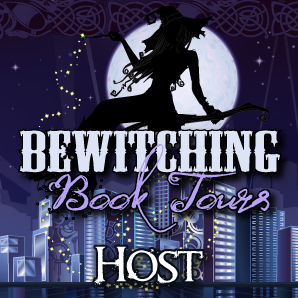 She barely gets a glimpse when Belle is assaulted and the case of manuscripts is stolen. With the manuscripts on the run, Sarah puts herself in danger to chase the thief. 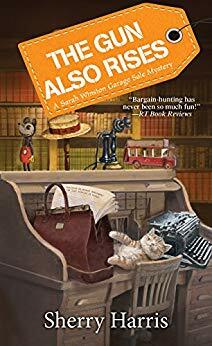 Murder, mayhem, and of course, mystery abounds in The Gun Also Rises, another excellent book in the Sarah Winston Garage Sale Mystery series. I really enjoy the Garage Sale Mysteries by Sherry Harris. As a lover of garage sales, yard sales, flea markets, etc., a cozy setting of this nature makes me happy. Sarah is a great protagonist and is written in such a way that I feel like I know her personally. She has very realistic characteristics and the author really brings Sarah to life. The secondary characters are also realistically written. As I said about the rest of the books in the series, The Gun Also Rises is a fantastic cozy mystery that is full of twists, turns, distractions, and red herrings. There are suspenseful, humorous, and heartbreaking moments that are sure to keep the reader engaged. The author sets up many of the characters as the potential suspect and expertly pulls the tablecloth out from underneath them without spilling the truth until it's time. I voluntarily reviewed a copy of this book provided by the publisher.